In the news (July 2015), Planned Parenthood has recently come under scrutiny for their practices with aborted human tissue from the womb. Dr. Mary Gatter, the previous president of Planned Parenthood Medical Directors’ Council discussed compensation for aborted tissue. Dr. Gatter currently serves in leadership and advisory at the local and national level of Planned Parenthood. In the interest of fairness to Dr. Gatter’s comments, see the link below. She articulates her position clearly. Yes, abortion is a highly controversial topic. The culture has communicated its position on the subject. Elements of the culture and critics state the Bible has nothing to say on the subject. This is incorrect. God has plenty to say in His word. Next are God’s words. It is acknowledged, His words are offensive to segments of society. Eventually, His words are offensive to all of us if we are honest with ourselves. Please take your complaints and comments directly to Him. He will listen. He is a big boy. He can handle it. The focus of the post is in regards to the definition of abortion and legal considerations as God states in His word. Here is what God says. In order to enlarge their borders. The sons of Ammon are modern day Jordan. Back in the day, Ammon wanted to expand their territory at the expense of unborn children. God states judgment is coming because they “ripped”. The Hebrew word for “ripped” is baqa`. Per Strong’s Concordance, it means: to cleave, cleave open; to break through or break into. A modern day abortion chemically and mechanically breaks through and into the womb invasively. Abortion is premeditated and not accidental. God makes provision for the unborn child in His Law. Even if the child is harmed in utero and lives to see birth, there are consequences to the offending party. God’s Law accounts for the involuntary manslaughter of an infant in the womb of a mother. 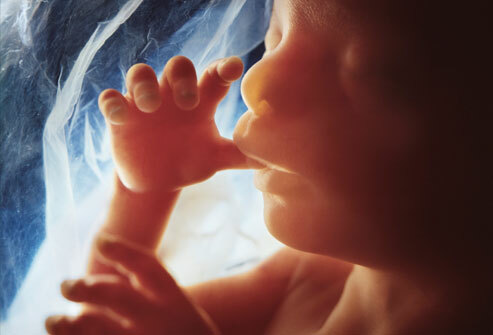 He recognizes the baby in the womb as a person and an individual life. Exodus 21:22-25 “If men struggle with each other and strike a woman with child so that she gives birth prematurely, yet there is no injury, he shall surely be fined as the woman’s husband may demand of him, and he shall pay as the judges decide. But if there is any further injury, then you shall appoint as a penalty life for life, eye for eye, tooth for tooth, hand for hand, foot for foot, burn for burn, wound for wound, bruise for bruise. The Hebrew word for “child” is yeled. It is defined as: child, son, boy, offspring, youth, or descendants. God states the life inside the mother is a child. Exodus 20:13 You shall not murder. Obviously, pre meditated murder is not acceptable. Hands that shed innocent blood are one of the seven things God hates in Proverbs 6:16-19. Planned Parenthood and doctors are getting paid and profiting to murder innocent lives. Others profit from the removed tissue. They are not even taking a bribe. It is a series of business transactions. Our tax dollars fund this process. This entry was posted on July 22, 2015 at 8:54 PM and is filed under Culture, Trend Update with tags abortion, Amos 1, Bible, Deuteronomy 27, Dr. Mary Gatter, Exodus 20, Exodus 21, God, Law, Manslaughter, Murder, Planned Parenthood, Proverbs 6, Ten commandments. You can follow any responses to this entry through the RSS 2.0 feed. You can leave a response, or trackback from your own site.